There are so many fun St. Patrick ’s Day events in San Antonio that you can take advantage of for the holiday, but Murphy’s St. Patrick’s Day River Parade & Festival is one you simply cannot miss! 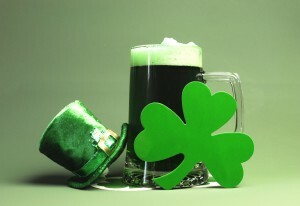 On March 14th and 15th, Arneson Theatre & La Villita are waiting those ready to get their Irish on! This event is free to the public and invites you to enjoy Irish souvenir hats and necklaces while indulging on Irish food, Greek dishes, burgers, kettle corn, and of course, dark Irish beer and green beer! On March 15th from 4:30 p.m. to 6:00 p.m. you are invited to enjoy the Murphy’s St. Patrick Day Parade along the River Walk! We hope you have the opportunity to attend Murphy’s St. Patrick’s Day River Parade & Festival! Are you ready to get your Irish on? Contact VGW Walker Insurance for all of your Texas insurance needs.